BDN Maine at 1 Merchants Plaza. Like many news organizations, the Bangor Daily News has more online readers than print readers. But unlike most newspapers, the BDN has never asked digital readers to pay for the news. Starting next week, that will change. For many years, we have steered clear of requiring a subscription for the website in order to get the news to as many people as we could online, not limiting anyone’s access, and supporting our journalism with digital ads and those Google Surveys that tend to inspire passionate opinions. That model worked, at least until smartphones, with fewer and smaller ad positions, became the dominant way digital readers gained access to the BDN online. It may surprise you that the advertising revenue we receive from, for instance, your visit to this very webpage will bring in through advertising not $1, not a penny, but a hair over $0.007. While we have grown the number of readers of the BDN online substantially in recent years, it is extraordinarily difficult to fund journalism in increments of seven one-thousandths of a dollar per page. We spent about half a year studying what other publishers have done, what mistakes they have made, what they have learned and planning how we would handle digital subscription here. One of our biggest lessons has been to communicate often, clearly, and openly and to focus on customer service. — Print subscribers will continue to have free access to the BDN online. Everyone else will get five free stories per 30 days at no charge; eight stories per 30 days for those who register. — When non-subscribers hit their story maximum, they will have an opportunity to subscribe to the digital edition only, a print-digital combination or simply to register. Day passes to the site will also be available. — Sections such as classifieds, obituaries and national and international wire stories will remain free to all and not count against the story total. — Some additional content such as community news, events, community blogs and closings and cancellations will remain free and not count toward the total. These will be marked with a blue BDN Maine logo. — Major breaking news, where public safety may be at risk, will be open to everyone. — Newspapers have yet to find the optimum system for providing the journalism you value and paying for that journalism, so the payment system will evolve over time as we learn more. Like readers in the rest of the country, Maine readers continue to shift their daily news habits from print to online and from laptops to phones. 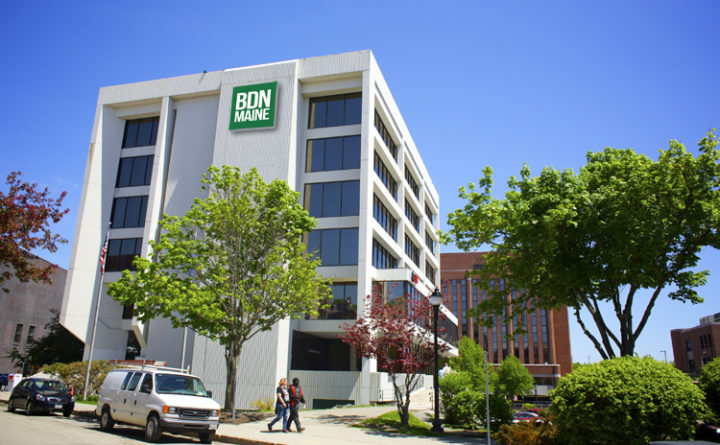 Digital subscription will ensure a strong and sustainable Maine press, and help us invest in the BDN reader experience online. Q: When will readers have to have a digital subscription in order to read BDN stories? A: We will begin rolling out the subscription model next week, with more readers being affected in the coming weeks. Once our new subscription page goes up on the site anyone will be able to subscribe. A: Monthly digital all access will be $7.99 a month, with the first month just 99¢. All print subscriptions will now also include digital access at no extra cost. E-edition will be included in all subscriptions. If you don’t know that you want to commit to a monthly digital subscription, you’ll be able to get a 99¢ day pass. Q: Why should I pay for something that has been free for as long as I can remember? A: As media consumption and advertising habits have shifted dramatically in the digital era, newspapers need to evolve to survive and to grow. Relying on advertising and print subscriptions is simply not sufficient to support local journalism today. As we introduce digital subscription, we are also investing in the experience for online readers. We launched a revamped website in September, which is faster, easier to read, and has more quickly loading comments. More changes are ahead, and by becoming a subscriber you are, more than ever, our partner. And we will be listening closely to your feedback and ideas. Q: I already pay for the e-edition, and this just sounds like a hassle. Will it be a hassle? A: If you don’t want to change anything, you won’t have to. But if you switch to an all access digital subscription, you’ll have a small savings each month, and keep e-edition access. A: We’ll send an email to everyone we have an email address for, which will include an activation link. We’ll put also reminders in front of print subscribers in newsletters, on the site, and in the mail. Q: Will customer service get better? — We’re bringing live chat to our site (with humans in the Bangor office – don’t worry! ), to help readers with any questions that come up while subscribing. — We’re introducing a new Customer Service page in the next few weeks, to help readers get helpful answers to their questions as quickly as we can. — We’ve also made the online staff directory easier to find and to use. If you have digital subscription questions we haven’t answered here, please drop us a line at customerservice@bangordailynews.com. Todd Benoit is president and COO of the Bangor Daily News. Joellen Easton is the BDN’s audience product manager.